I hope you all are having an awesome day! Thankfully it's the weekend right? 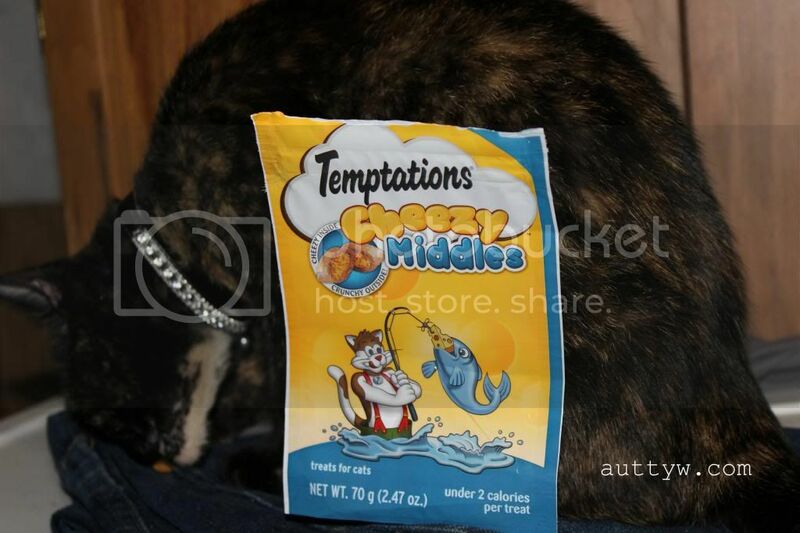 Today's Caturday post is a review of Temptations cat treats. 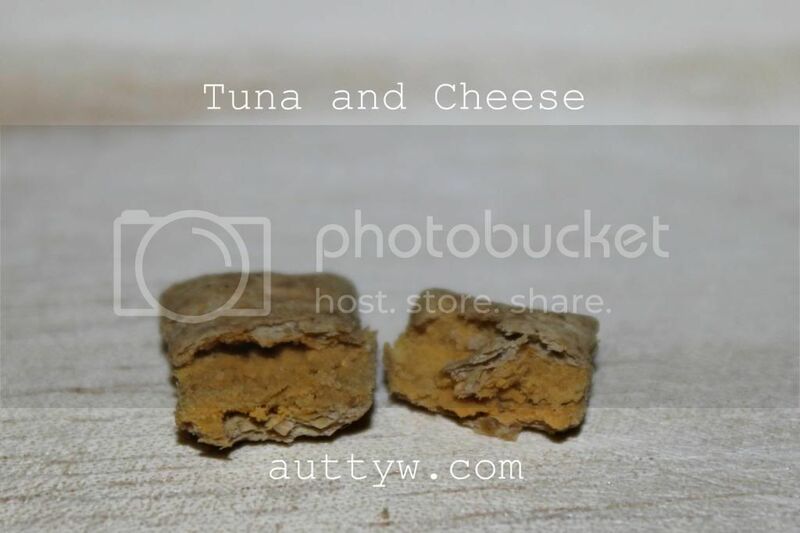 I have two different "flavors" and both are the "Cheezy Middles" Chicken and Tuna. I'm sure you're asking "How exactly do you review something for an animal?!?" Well, I'm going to review it from MY perspective on how she reacts to the treats. 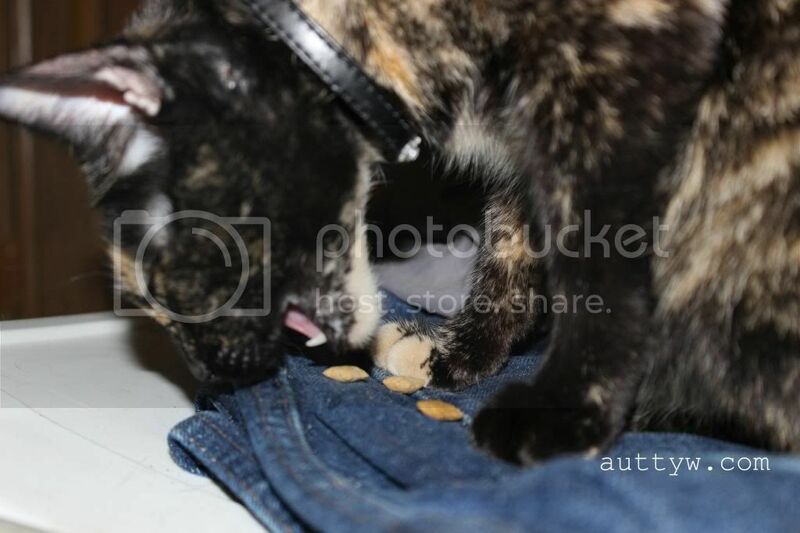 If Anya doesn't like it, she wont eat it and it also depends on how quick she eats them. The serving size for these are 15 per every 10 pounds. Anya doesn't get 15 treats in a day. 4-8 depending on if she's been a jerk or not. Chris and I tend to just mix her treats together in a wooden box that we've purchased for her. It makes it more exciting for her if she hears the treats rattle in the box. She comes running full force and typically knocks things down in the process! First up we have the Tuna & Cheese. You can't tell that there is actually a "soft" inside unless you break it open. Squeezing the treat yields it being hard and that's what I assumed until I actually broke it open to see if the inside was indeed soft. She REALLY doesn't like having her picture taken honestly. It's ALWAYS a fight with her. With my old camera (NOT the DSLR, she used to knock it right out of my hand. She had it timed and would sit there and wait just until the picture took to either knock it out of my hand or move) Smarty pants. 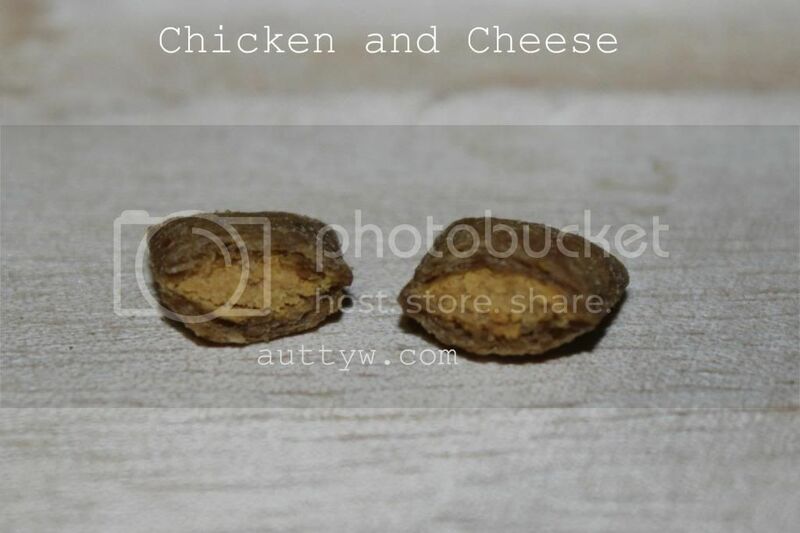 The Chicken and Cheese are generally the same with the exception of well, it being chicken and not tuna. The cheese itself is different in these ones as well. All in all, I know that there isn't much to this "review" but from what I have observed, Anya really likes these. She doesn't eat things just because she can and we try to limit what she gets treat wise. I can't even tell you how these smell because my nose is stuffed and I can't smell anything! Boo, that is the downside to being sick. She does seem to like the chicken and cheese ones a little bit more than the tuna. Anya isn't much of a seafood cat, I know she's weird. If you were to put two piles of treats in front of her and tell her to choose which ones to eat first, she goes for the chicken. Does that down play the quality or taste of the tuna? Of course not, each cat is different just like humans. We all have preferences as well as they do. 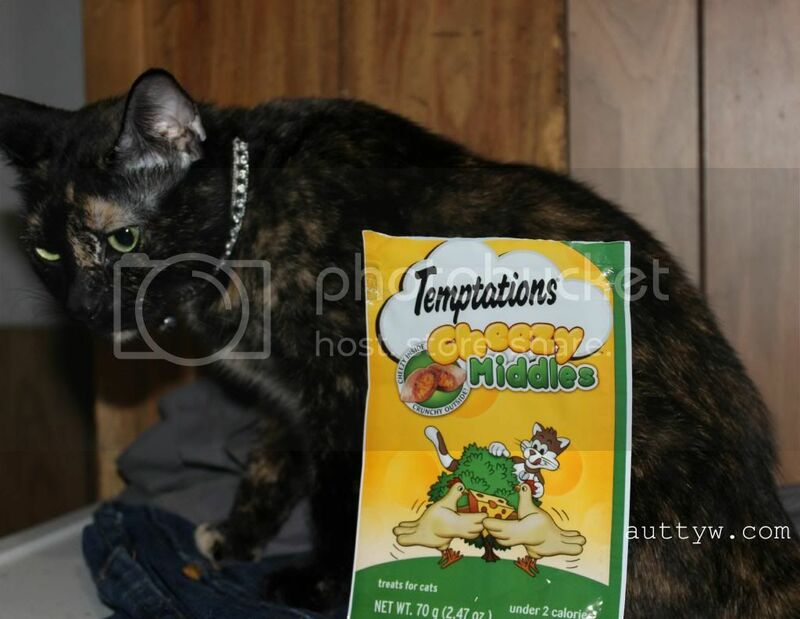 I think Temptations are fantastic treats and they have different kinds for any kind of finicky cat. They're affordable as well which is a plus! Each bag retails for around $1.50 at Walmart. 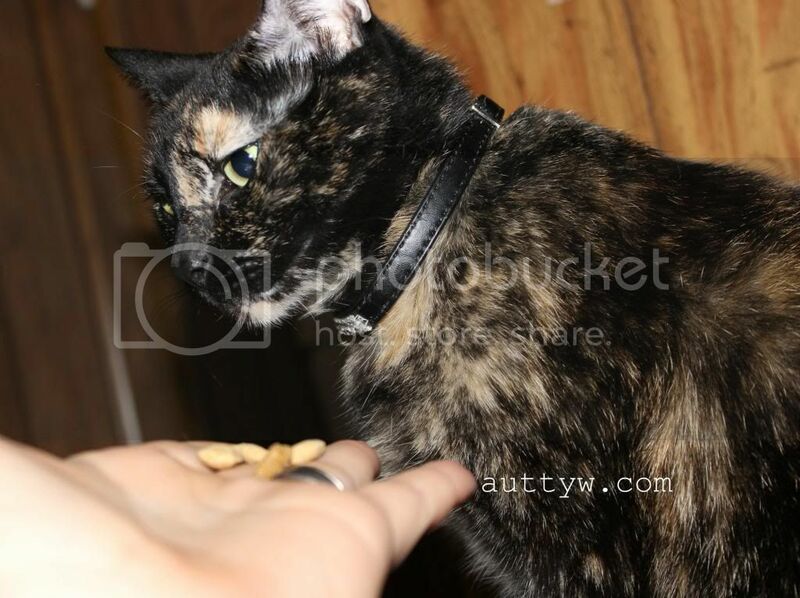 What kind of treats do you give your cat or Pet?! I'm glad too! She's really picky about what she eats! When we were trying to find a cat food for her, she wouldn't even eat the "popular" brands. LOL she looks like she's going to murder me in my sleep, especially because my hand was in her face! My Dogs never liked the greenies, then again Kyri now will eat anything and eats the ones from PetCo. Oh wow! I never thought of giving them carrots or hard boiled eggs! Mugen deserves it though! He's cute as heck! haha! I love it! :-) Yay for Anya's first review! My poor kitty can't eat treats, they make him throw up. Sad, right? So we spoil him with toys. And more toys. And more toys. And some boxes. Anya is darling! Her coloring is beautiful. Oh no! That is really sad!! 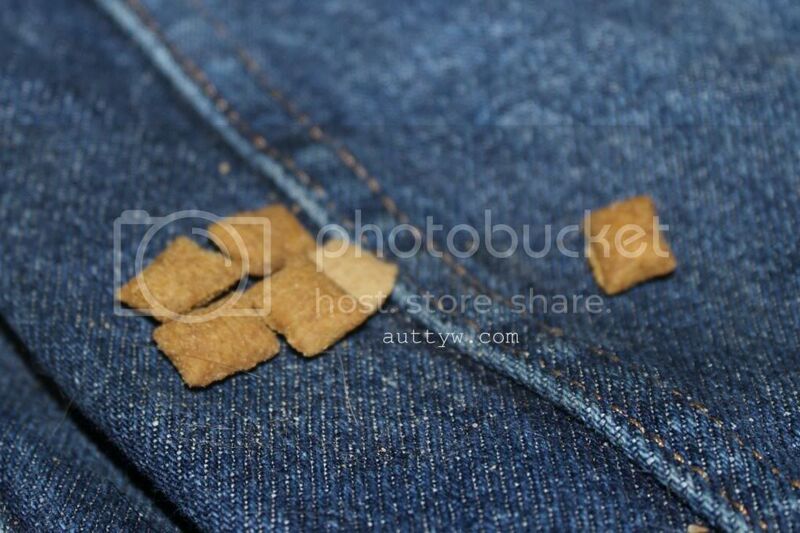 :( There are cat treats that you could make that use like Tuna and Oats I believe. I had a recipe once, Bahaha Anya used to LOVE toys, she has a stick that she LOVES and she loves boxes. :P I LOVE her coloring! Thank you!! <3 <3 I'm hoping I have the time to get this weeks done! I wish I could get a picture of her face when you say "treats?" to her. Her face instantly softens and she looks super cute and acts like she did nothing wrnog. Even if she was being a jerk 10 seconds earlier. LOL. Oh my gosh! That is hilarious! Bahaha you have to love cats!